The companies and publishers listed here offer commercial science curricula to homeschoolers. You will find everything from supplemental materials and supplies to complete curriculum packages. Some of these companies provide printed materials and supplies, while others make materials available online through paid memberships. For additional resources, be sure to check out our compilation of websites offering free printable science materials and interactive activities and games. Apologia provides fun and challenging K-12 creation-based science curriculum specifically designed for the home school. ritten by a former university professor and homeschool parent, Apologia courses provide college-preparatory science in a way that is both clear and challenging. The texts are readable, easy to understand, and full of engaging experiments that can be performed at home. Click here and save 20% when you purchase Apologia products through our affiliate Nest Learning, or visit www.apologia.com to learn more. Exploration Education's science curriculum offers the unique combination of having all the materials included, the ability for the student to work independently, the thoroughness of a text, with the hands-on approach of a kit. The God’s Design series is a highly regarded, complete science curriculum for grades 1 through 8. Covers life science, earth science, physical science, and chemistry & ecology. In the award-winning, full-color student curriculum the lessons are short, easy to teach, and take a hands-on approach using ordinary household items for experiments and activities. By Answers in Genesis. 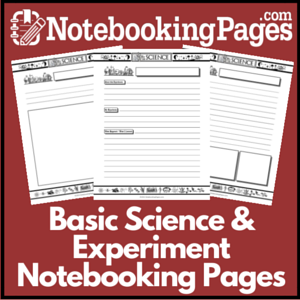 Home Science Tools is an online science curriculum supply store. You find hands-on science supplies & lab tools for Chemistry, Biology, and more. Grades K-12 & college. Hands-on science is the best way to learn and with Home Science Adventures you get all the advantages of a hands-on science program with all the convenience of a textbook. Everything you need is included! Homeschool Science Academy offers online classes and residential camps that are appropriate for all 6th -12th grade students, but are especially geared toward students interested in careers such as medicine, forensic anatomy / pathology CSI, nursing, exercise science, biology, chemistry, dentistry, athletic training, nutrition, health promotion, physical therapy, physician's assistant, occupational therapy, etc. Noeo Homeschool Science is a complete home school science curriculum that includes experiment supply kits and everything else you need for quality science lessons at home. This curriculum is best described as a balance between the classical method and the Charlotte Mason approach. Their emphasize is on narration and summarization, vocabulary development, observation, and the scientific method. They do not promote rote memorization or the worksheet and test methodology. The award-winning home school curriculum, REAL SCIENCE-4-KIDS, uniquely demonstrates how easy science can be. Science isn’t about memorizing facts; science is about appreciating the relationship of physical laws and how each discipline relates to another. REAL SCIENCE-4-KIDS provides both you and your child with a greater understanding of the opposing philosophies that form the basis of scientific critical thinking skills. It helps you focus on real science and still understand the effect of different philosophies, religions, and prejudices have on all scientific thought. Science Excursion is a quality homeschool science curriculum for grades K-8. This curriculum is comprehensive, hands-on, and teacher friendly. It was created using top scientific resources from a creation perspective. Science Excursion contains easy to read lessons and easy to teach experiments which combine to form an inclusive curriculum. A Student Text, Tests & Answer Key, and a Science Materials Kit are available at each grade level. 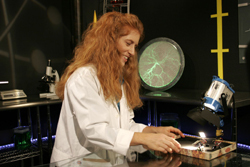 Science Works is an American owned and operated company that offers Virtual Dissections and other science software. Ad This is a complete K-12 online science learning program for homeschoolers. It is self-guided so your kids can do it on their own, or you can do it with them. They use a combination of videos, live tele-classes, reading and exercises to teach kids real science. The Quirkles are 26 imaginary scientists that help children develop a love and appreciation for science. They offer a fresh new way to integrate literacy and science at school, for educational programs, or at home. Vocabulary builders, two related science experiments, and a character education lesson are also included in each of the 26 alphabet-series books. The Quirkles® create enthusiasm and excitement for reading and science through whimsical illustrations, alliteration of the specified letter, and fun hands-on science. Weird Science Kids offers a large selection of science toys, science fair kits and supplies. They also provide a large variety of free science experiments and demonstration videos that introduce children to the basic concepts of science and how it relates to the environment that surrounds them.